Haku Vajubhai Shah, an eminent painter, tribal art scholar and a writer was born in 1934 in Valod, Gujarat. 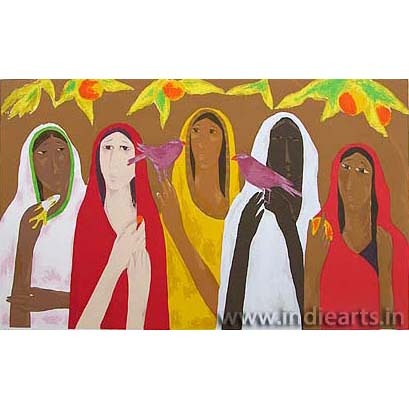 After finishing his graduation and a master’s degree in fine arts from M S University, Baroda, he focussed on subjects like traditional and rural India. 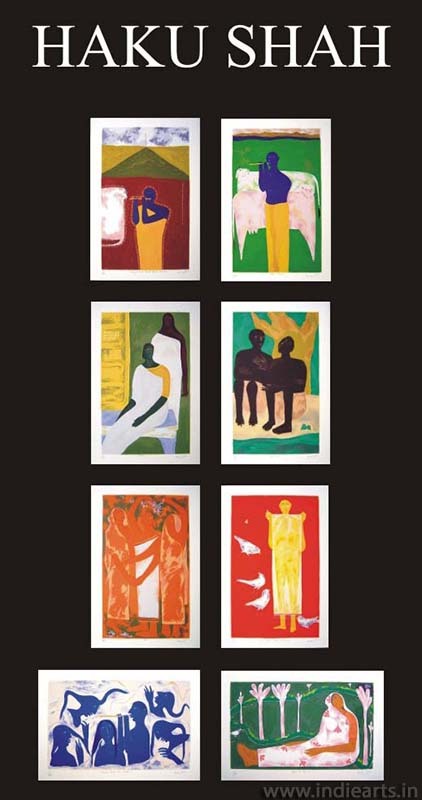 His art is unpretentious, elegant, yet bubbling with vibrant hues & native characters, highlighting its very origin; but it’s narrative is relatable across borders. 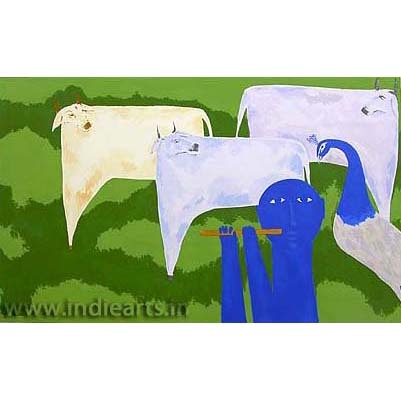 Herdsmen, cow, flute and many women in his paintings brings one closer to rustic Indian life. He has done many solo shows across the world and has introduced tribal Indian art to the world. He has published several books on pottery & Indian artforms and has also published books for children. He is a curator of Museum for Tribal Cultures at Gujarat Vidhyapeth. He is associated with several museums across the world and has established Folk Art Museum in Ahmedabad. 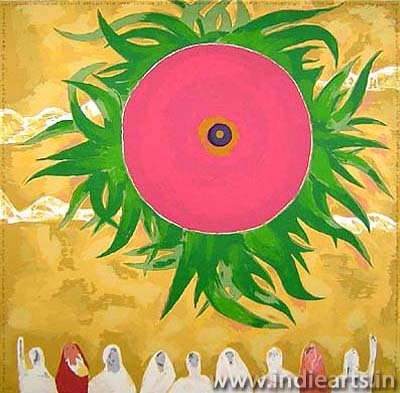 He has been bestowed with Padma Shri for his contribution towards art. Haku Shah Is Ghat Antar….